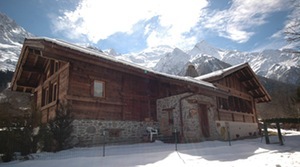 Welcome to our Chamonix Mont Blanc section, with a range of self catering ski apartments and catered chalets to rent in Chamonix and the surrounding area including Les Contamines, St Gervais and Megeve. Chamonix is one of the most popular French Alpine resorts, and the birthplace of modern mountaineering. Popular for weekend breaks Chamonix is a fun, lively place, but also a great resort for weekly ski holidays. 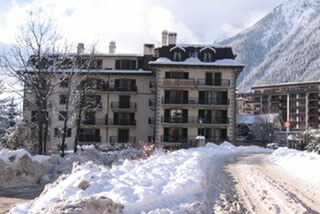 Due to its size, Chamonix accommodation really does cater for all needs, with Chamonix luxury chalets being some of the best in the world, but the available accommodation also extends to more modest budget apartments where the focus is on hard skiing rather than luxury living! Historically, one of the downsides to Chamonix skiing was the fact that it was divided into several separate ski areas, which weren't linked via lifts, so it was necessary to use the free ski bus service to move between these. While this is still required to a certain extent, the interlinking of lifts has improved considerably, so movement between ski areas is a lot simpler than it was, and it is therefore less important where your accommodation is situated within the Chamonix area. 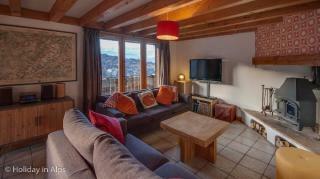 Modern two bedroom apartment in Chamonix centre, with stunning mountain views. Sleeps 4 persons. £495 - £980 / week. 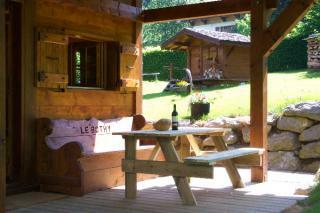 Charming and luxurious self-catering chalets. Each sleeps 5. €580 - €980 / week. 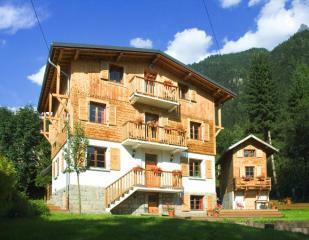 Three apartments in beautiful chalet, just 5 minutes walk from the centre of Chamonix, the shops, station and ski lifts. Sleep 3-5 persons. £462 - £661 / week. 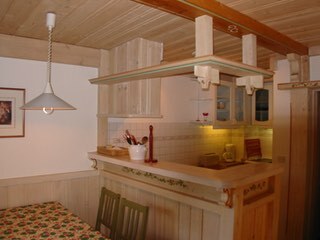 Recently renovated luxury catered chalet, with 4 twin/double bedrooms, open fire, sauna, hot tub and wifi. Sleeps 8. £3480 - £7720 / week. €2099 - €3456 / week. 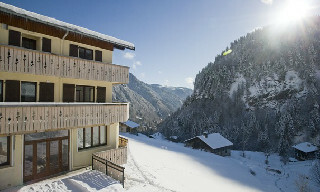 Lovely chalet in elevated position with stunning views, wood burner, outdoor hot tub, huge balcony and garden. Sleeps 10. €1000 - €3750 / week. Stunning & Contemporary Luxury Chalet at the foot of Mont Blanc with magnificent outdoor jacuzzi, indoor sauna & wonderful views of Mont Blanc & the surrounding Massif. Sleeps 10. €1500 - €5800 / week. 5 bedrooms | 6 bathrooms | Sleeps 10 people. 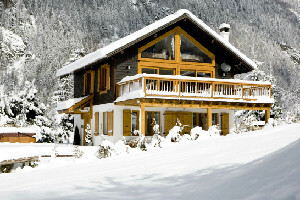 Truly magnificent luxury chalet, 4 minutes walk to the main square in Chamonix, yet located in a peaceful residential area in its own grounds. Sleeps 22 people. £8000 - £14500 / week. 11 bedrooms | 10 bathrooms | Sleeps 22 people.